Lupita Tovar, the 1930s film actress who starred in the acclaimed Spanish-language version of Dracula and the first Mexican talkie, Santa, has died. She was 106. Born the oldest of nine in a poor and very religious household in a small town in the southernmost part of Mexico, Tovar moved with her family to Mexico City in the later years of the Mexican Revolution. It was there, as a teenager studying dance and gymnastics, that she was discovered by Robert Flaherty, the docu-fiction film pioneer who directed Nanook Of The North and Man Of Aran. At the time, Flaherty was preparing his collaboration with F.W. Murnau, Tabu: A Story of the South Seas, and he wanted Tovar for the lead role. However, after coming to Hollywood, she ended up signing a contract with Fox; Tovar would later claim that this was an attempt by the studio to get back at Murnau and Flaherty, who had left Fox on bad terms. Entering the film industry at the end of 1928, Tovar had the bad luck to come to Hollywood right at the dawn of the sound film while speaking no English. Still under contract with Fox, she spent her time taking dance classes with Eduardo Cansino Sr., the father of Rita Hayworth (born Margarita Cansino), and taking English and acting lessons. The language barrier would stall Tovar’s career, but would end up providing her with a breakthrough. The early years of sound film, before the wider introduction of subtitles, presented a challenge to studios; silent films were easy to sell internationally, as all a distributor had to do was translate the inter-titles, but talkies were a completely different matter. A struggling starlet who had up to that point only appeared in bit roles, Tovar met the Czech-born producer Paul Kohner at a party. Kohner was immediately taken with the actress, who was able to get her a few dubbing roles at Universal before convincing Carl Laemmle, the founder and head of the studio, to cast her in foreign-language versions of their films. These would be filmed on the same sets on the night shift, with a different cast and crew. A Spanish-language version of the The Cat Creeps (1930; now lost) gave Tovar her first starring role, opposite the silent screen heartthrob Antonio Moreno, whose career was then faltering because of his thick accent. 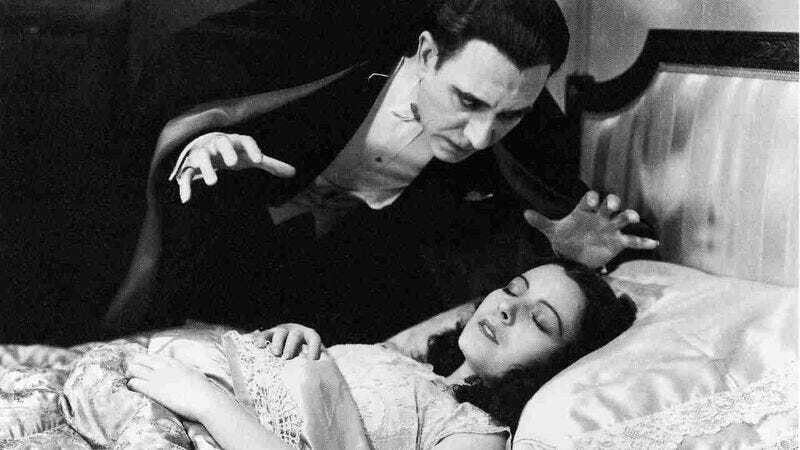 Her next film would give her lasting cult status: The atmospheric Spanish-language version of the Universal horror classic Dracula (1931), considered by many (including The A.V. Club’s staff film critics) to be superior to the better-known English-language version directed by Tod Browning. Tovar returned to Mexico for Santa (1932), directed by her former co-star Antonio Moreno. The first sound film produced in Mexico, it made her a star at home. As she would later tell in interviews, it was during the filming of Santa that Tovar realized that she was in love with Kohner, the producer who had helped launch her career. They wed that year in what is now the Czech Republic, and remained married until Kohner’s death in 1988. After a stint in Europe, the couple returned to the United States, with Tovar making frequent trips across the border to make films in Mexico, taking part in what has come to be known as the Golden Age Of Mexican Cinema before retiring in the 1940s. Kohner left Universal to start a talent agency, where he specialized in working with expats, immigrants, and international stars; his roster of clients would come to include Maurice Chevalier, Billy Wilder, Dolores Del Río, Greta Garbo, Marlene Dietrich, and Ingmar Bergman. He also established the European Film Fund, a non-profit that helped artists and intellectuals (including Bertolt Brecht and Alfred Döblin) leave war-torn Europe. Tovar lived much of her life in Los Angeles, returning to acting only once, in a 1952 episode of the TV series Invitation Playhouse. The actress Susan Kohner, who was nominated for an Oscar for Douglas Sirk’s Imitation Of Life, was her daughter, and her grandchildren include writer-directors Paul Weitz (About A Boy, American Pie) and Chris Weitz (About A Boy, A Better Life, The Twilight Saga: New Moon).